You wanna duplicate your work. No problem. Your Style Guide is finished and you wanna start another Brand. But you don't wanna start from scratch. Best here is to duplicate your Style Guide or the whole Brand. How to do this? It's so easy. Remember. The duplicate feature is only available from the business plan. 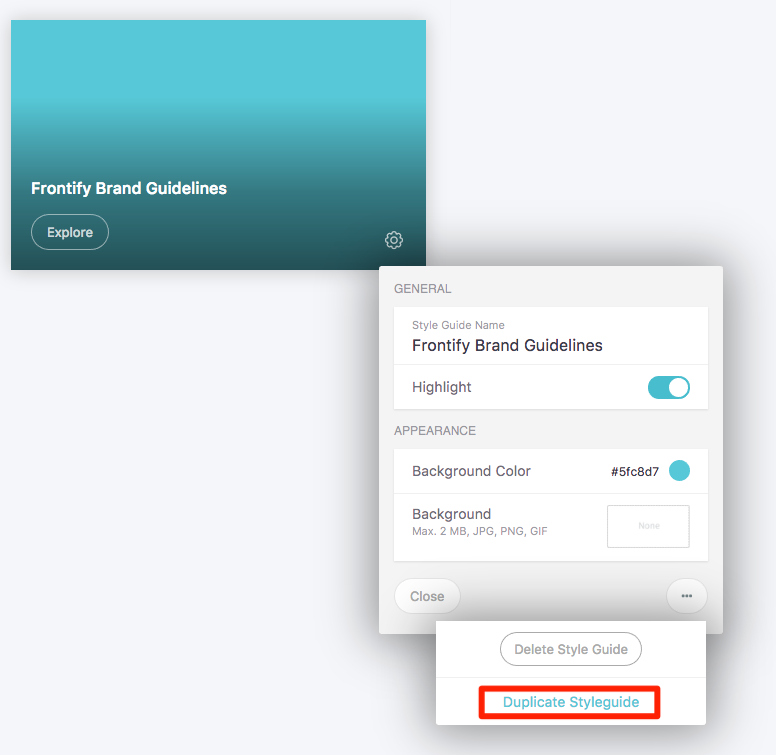 Click on "Duplicate Style Guide"
Now choose from "Copy Style Guide and create new brand" and "Copy Style Guide within this brand".